Metal Tech Alley‘s strong metals, recycling and technology sectors have been attracting a lot of attention lately. Recent activity in the area has seen established companies expanding, new companies relocating and partnerships developing. At the core of this new economic development strategy is the i4C Innovation Centre, located in Trail, BC., an international IIoT HUB supporting big data, with labs, production and testing facilities. Opened on May 24th the i4C Innovation Centre is a 40,000 square foot facility located across from the Trail Regional airport, led by technology trail blazers Brian Fry, Pilar Portela and Tim Dufour, pivotal players in the evolution of the region’s economy. With a mandate focusing on the recruitment of early stage Industrial IoT qualified companies can run their R&D, light fabrication, commercialization and/or distribution from a strategically located North American facility. i4C has seen fast growth with three new companies operating out of the facility who are taking advantage of a unique West Kootenay synergy that includes talented workforce, global supply chain, safe and secure communities and of course an incredible lifestyle! Newly relocated in the i4C building is Greg Duerksen, Director of Business Development at Aretas Industrial IoT Corp. “This area is very attractive for young tech people. It is family friendly, with great seasonal activities and attractive housing options that offers a lifestyle that is promoted globally. There is a good mix of diverse talent and people here, the world is here,” said Duerksen. Aretas Industrial IoT provides environmental sensors and big data analytics to industrial and commercial companies. They chose the i4C in Trail as their location to design and manufacture sensor payloads to be used on UAVs (unmanned aerial vehicles). These UAVs are used by fire departments, rescue organizations, and regularly utilized by companies focusing on gas lines, power lines, and oil. “i4C being located in Trail is key to our work.” says Duerkson. “We’re close to the border, which means shipping times are better and we have access to local metals and a wealth of knowledge. Aretas Industrial is part of Aretas Sensor Networks, which was formed seven years ago in northern BC, providing continuous monitoring, reporting and alerting solutions for everything from gases, to voltage, to pressure or even radiation. They work with clients to build custom solutions, for risk mitigation, legal compliance, efficiency, research, or identifying industrial system issues. Astra Earth is an Augmented Business Intelligence System focused on examining the interactions between human, environmental, and engineered systems to understand and contribute to solutions for complex challenges in organizations at all levels. 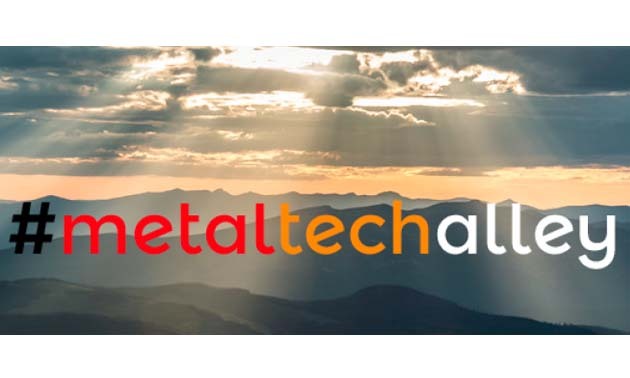 “Being in Metal Tech Alley gives us the ability to really understand the metallurgical industry for the developments of applicable algorithms," said Pilar Portela, CEO of Astra Earth. Digital Mint Group (DMG) Blockchain Solutions Inc. is a full service blockchain, cryptocurrency and smart contracts company that manages, operates and develops end-to-end digital solutions to monetize the blockchain ecosystem.